The Success Of Society Run Amok: What Does 'The Purge' Say About Us? The Purge films are about a large-scale psychological experiment: What if every year the country allowed one night of complete lawlessness? Nya (Lex Scott Davis) and Isaiah (Joivan Wade) star in the fourth installment of the series, The First Purge, which opens July 4. What if, one night a year, all crime, including murder, was legal? That's the premise of an incredibly successful horror movie franchise set in the not-so-distant dystopian future. The idea of The Purge is: Let people blow off steam, and crime rates will go down. 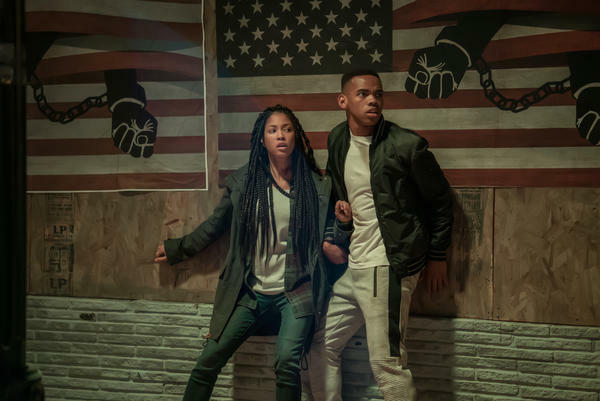 The fourth Purge installment — The First Purge — opens July 4. The Purge films have, on average, made almost 2,000 percent of their budget at the worldwide box office. What is it about these stories of society-run-amok that keeps audiences coming back? "It's a cool idea," says Grady Hendrix, an expert on horror literature and film. And cool ideas in movies can be hard to come by, so "when you find one, you may as well make as many sequels as you can," he says. The Purge movies are in the tradition of the urban menace movies that were big in the 1970s, Hendrix explains — think Death Wish or Taxi Driver. The idea, Hendrix says, is that "our cities are just these horrible death traps and the second you let your guard down you'll get murdered by weirdos." At a moment when gentrification has changed the conversation about crime on city streets, the power of The Purge also derives from an older horror trope — the idea of blood sacrifice — played out in The Hunger Games series and Shirley Jackson's classic short story "The Lottery." The idea is that "for a society to be healthy, you just have to kill people sometimes," Hendrix says. The politics of The Purge haven't exactly been subtle. In one, the heroine is a crusading senator who calls out the National Rifle Association and insurance companies for profiting from the Purge. In a 2013 promotional interview about the first Purge film, writer James DeMonaco says he purposefully made the backstory shadowy. "We kind of say that America was starting to crumble — crime, poverty, stock market crash, many wars — so everything kind of went haywire. [A] new government regime came in and got us back on track by creating the Purge." The worst villains in the series tend to be wealthy elites who enjoy private manhunts and deem certain citizens — such as homeless people or political opponents — expendable in their "spring cleaning." "Survival is the most important thing," Hendrix says, and that message resonates when so many people struggle just to make ends meet. In a climate where "safe spaces" are frequently ridiculed, the Purge is literally about having no space that feels safe: "There are no safe spaces," Hendrix says. "Your house isn't safe, your store isn't safe, your family isn't safe. There is nowhere you can go to get away from, or be protected from, someone who wants to get at you." Numerous polls have found that Americans are feeling more divided than ever — so a story about losing common humanity feels relevant. Regardless of politics, The Purge movies share a sense of a decay of the American dream, and if horror movies serve as catharsis — and The Purge films live up to their name. In a not-so-distant dystopian future, people are pitted against their neighbors one night a year. And on that night, all crime, including murder, is legal. That is the premise of an incredibly successful horror movie franchise. 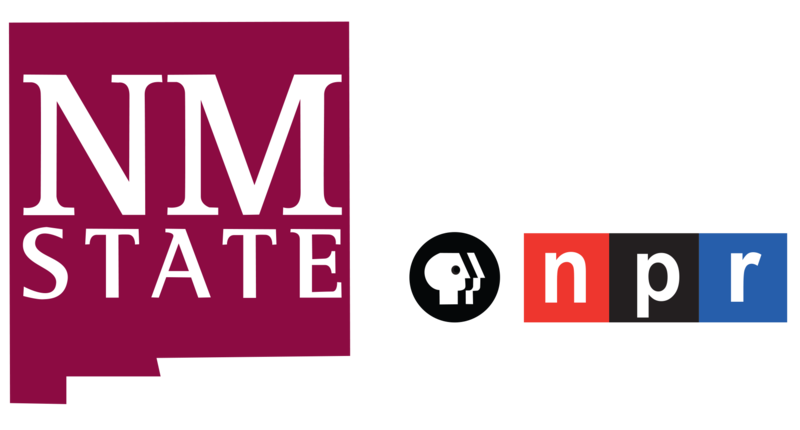 The fourth installment of "The Purge" series opened today, and NPR's Neda Ulaby wondered what about these stories of society run amok keeps audiences coming back. Here's what she found out. NEDA ULABY, BYLINE: "The Purge" films have on average made almost 2,000 percent at the worldwide box office. The newest one explains how the Purge came to be. VAN JONES: (As Reporter #2) Is the Purge a political device? MARISA TOMEI: (As Dr. Updale) It is a psychological one. If we want to save our country, we must release all our anger in one night. ULABY: The idea is that if people blow off steam, crime rates go down. GRADY HENDRIX: It's a cool idea. ULABY: That's Grady Hendrix. He's an expert on horror literature and film. HENDRIX: And you know, movies don't have a lot of cool ideas. So when you find one, you may as well make as many sequels as you can. ULABY: Hendrix says the "Purge" films work in the tradition of those urban menace movies so big in the 1970s - "Death Wish," "Taxi Driver." ROBERT DE NIRO: (As Travis Bickle) Someday a real rain will come and wash all this scum off the streets. HENDRIX: This idea that our cities are just these, like, horrible death traps and the second you let your guard down, you'll get murdered by weirdos. UNIDENTIFIED ACTOR #1: (As character) Somebody please just open the door for me. ULABY: At a moment when gentrification has changed the conversation about crime on city streets, the power of the Purge also derives from an older horror trope, the idea of blood sacrifice, played out in "The Hunger Games" books and movies and, Hendrix says, the classic Shirley Jackson short story "The Lottery." HENDRIX: Where, for a society to be healthy, you just have to kill people sometimes. ULABY: The politics of the Purge haven't been exactly subtle. In one, the heroine is a crusading senator who calls out the National Rifle Association. ELIZABETH MITCHELL: (As Charlie Roan) The money generated from the Purge lines the pockets of the NRA and insurance companies. JAMES DEMONACO: The end justifies the means. ULABY: James DeMonaco wrote all the "Purge" movies. In a promotional interview with Movieclips Coming Soon about the first one back in 2013, he said he purposefully made the backstory shadowy. DEMONACO: We kind of say that America was starting to crumble - crime, poverty, stock market crash, many wars. So everything kind of went haywire. A new government regime came in and got us back on track by creating the Purge. ULABY: The baddest guys in the series tend to be wealthy elites who enjoy private manhunts and deem certain people expendable, like the homeless or political opponents. RAYMOND J. BARRY: (As Caleb Warrens) We are going to use this year's Purge to do some spring cleaning, gentlemen. HENDRIX: Survival is the most important thing. ULABY: Writer Grady Hendrix says that basic message resonates when so many people struggle just to make ends meet. HENDRIX: And I think one of the things that's interesting with the "Purge" movies is, at a time when the idea of a safe space is so ridiculed - I mean, really, to talk about safe spaces, you're almost using a word that's become a pejorative. However, the "Purge" movies do traffic in the horror of saying there are no safe spaces. UNIDENTIFIED ACTOR #2: (As character) They have chainsaws, and they're coming inside. HENDRIX: Your house isn't safe. Your store isn't safe. Your family isn't safe. UNIDENTIFIED ACTOR #3: (As character) Here they come. HENDRIX: There is nowhere you can go to get away from or be protected from someone who wants to get at you. ULABY: Americans are feeling more divided than ever according to numerous polls. Hendrix says a story about losing common humanity feels relevant. UNIDENTIFIED ACTOR #4: (As character) How the hell did it get to this? ULABY: Regardless of politics, the "Purge" movies share a sense of the decay of the American dream. Horror movies are often a catharsis. The "Purge" films live up to their name.